Among the many annoyances of air travel, having to pay for Wi-Fi on flights might be one of the worst. 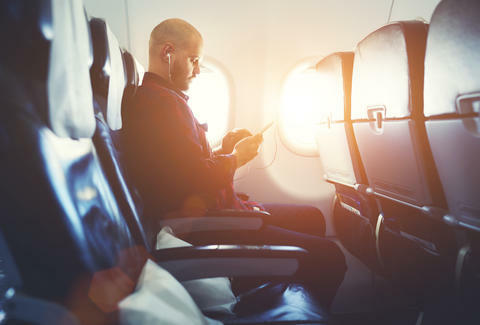 But because people depend on their devices much like they do oxygen and water, Delta Air Lines is giving weary travelers a reason to rejoice by permanently offering free in-flight text messaging on flights starting this weekend. The free mobile messaging service will make Delta the first and only United States carrier to offer the amenity when it becomes available on Sunday, October 1. Compatible with iMessage, WhatsApp, and Facebook Messenger, the free messaging will be available on all of the carrier's Wi-Fi enabled flights, including every plane with more than one cabin. All you have to do is log on through the airline's regular Wi-Fi portal, then proceed to text your friends as if you aren't barreling through the sky at 30,000 feet. "Today, we still have to charge too much because the quality is not there yet," he said. "But we'll eventually get to a point where there's free service in the air and you'll have ubiquitous service and capacity in the cabin." With all this in mind, your phone's airplane mode feature has probably never seemed so pointless.